Jon Ekstrom has been a public relations professional and communications consultant for more than 10 years. He has worked primarily with corporate clients on comprehensive public relations initiatives. He also hosts his own podcast. Jon most recently worked for Noble Energy as their public relations representative. 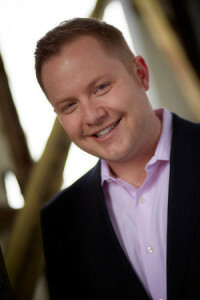 His work focused on media relations (both in working with media outlets on stories, and, frequently, as on-the-record spokesperson), stakeholder outreach, managing Noble Energy’s $2 million charitable giving portfolio, and, most notably, developing and implementing the Employee Ambassador Program. The Employee Ambassador Program is designed to educate and empower Noble Energy’s employees to engage in their communities and discuss with nuance and poise issues of concern pertaining to oil and gas development. Jon worked with Noble Energy’s team to create module-based curriculum featuring explanations of the technical side of oil and gas combined with application exercises and communication skills training. The result of which was a program that equipped employees to engage in any variety of formats. Prior to Noble Energy, Jon worked for MGA Communications, providing a full array of services to a broad base of clients. His work at MGA included strategic planning, media relations, advertising concept development and copywriting, branding, presentation and media training, and event planning and execution. Jon was part of the team that earned the distinction as one of the Top 5 PR Campaigns of the Decade by The Holmes Report, for work on the Rocky Mountain Arsenal clean-up and wildlife preserve campaign. Jon earned his B.A. and M.A. in Speech Communication from Colorado State University, where he also taught public speaking for two years. He is a Colorado native, and hosts the Jon of All Trades Podcast. Kristin has been a professional communications trainer and consultant for more than a decade. She has created and implemented training programs for corporate clients while maintaining her position in academia. She is passionate about instilling good communications principles in the next generation, and continues to teach public speaking and interpersonal communication to college students. Kristin’s experience cuts across not only a broad number of clients, but a wide variety of training types, as well. She has designed employee on-boarding trainings and evaluation criteria for Gap, Inc. She’s worked with large employers to create employee retention and advancement programs through her work with University of Phoenix. She’s implemented and conducted sales trainings for large travel agency Globus Journeys. She’s also led communications training for Devon Energy, Encana Corporation, Philanthopy Expert, and others. In addition, she maintains her space in the academic world, having taught public speaking and interpersonal communication at Colorado State University, Red Rocks Community College, Community College of Denver, and, currently, at Metro State University. 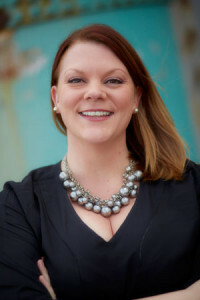 Kristin has also worked extensively as an online community builder, having written digital and viral content for Hacienda Colorado, Dr. Willard’s, Smashing Tomato Restaurants, and others. She is skilled in content creation, campaign planning, and digital strategy execution. She earned her B.A. and M.A. in Speech Communication from Colorado State University. She is also a Colorado native. Jon and Kristin are married and live in Denver. You can find them exploring Colorado’s craft beer scene, exercising their brains at pub trivia, taking in a game or a concert, or spending time at home with their two young daughters and two cats.